7 scriptures, 7 last words, 7 holy wounds, 7 Christian Sites , 7 Deacons, 7 ancient basilicas. These are said to be the symbolism of the 7 church visitation or the traditional Visita Iglesia. It is traditionally observed during the holy week but with so many churches across the Philippines, you may just pay a visit on a different time of the year. Below is a list of 7 historical and beautiful churches in the Philippines that you should visit if ever you are in town. Manila Cathedral, also known as Cathedral-Basilica of Immaculate Conception. It is one of the oldest and most historical churches in the Philippines. Although it is currently closed for renovation to do some major repairs and reinforce the structure to safety, it is still a famous landmark of not only our Christian faith but also our history. Also called the Pilgrim center of the north, this church is well-visited by not only the faithful but also those who are seeking for a miracle in their lives. Stories have been said that the Blessed mother had an apparition to a farmer. Her message was to have a church built in the area in her honor. Masses start as early as 5am and often visited during weekends and Lenten season. This church, with beautiful and well-kept parquet floors, is located in Siquijor, the land famous for magic and mysticism. But with the belief in mystical powers comes also the strong belief of the people in the power of God against evil. Cebu cathedral started construction in the 1500s but due to budget issues and being halted many times as Philippines was battered by war at that time, the construction was only completed by 1909. The churches facade is of Spanish colonial architecture, simply painted in white with elegant interiors that are mostly decorated in gold. Since Cebu is also the birth town of Saint Pedro Calungsod, his images can be seen from every corner and also carved in the facade of the cathedral. Cebu is also considered as to where Christianity in the Philippines started. It is the where the Spaniards was initially defeated from its plan of Philippine occupation but nevertheless started the belief of Christianity in our country. A baroque church built during the Spanish occupation. The only church built on an underground cemetery and considered as a historical landmark since it was a meeting place for the revolutionary KKK. It may no longer held mass services but it is still worth a visit. 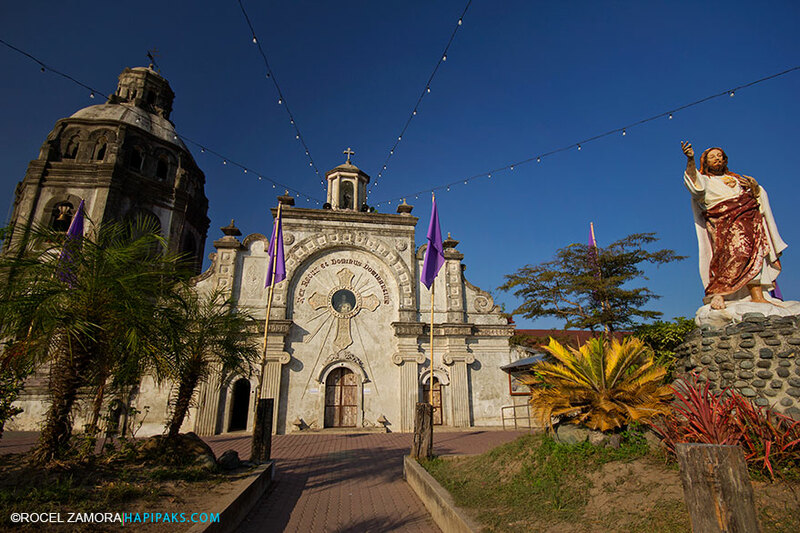 Built in one of the oldest towns in the Philippines, this Baroque church was buried in lahar when Mt. Pinatubo erupted in June of 1991. You will notice from the facade that the church is buried almost half of its height. Even though heavily affected by the volcano eruption, the town’s people were still able to preserve the relics inside the church. The church was even featured as the monastery for the show, May Bukas Pa in 2009. 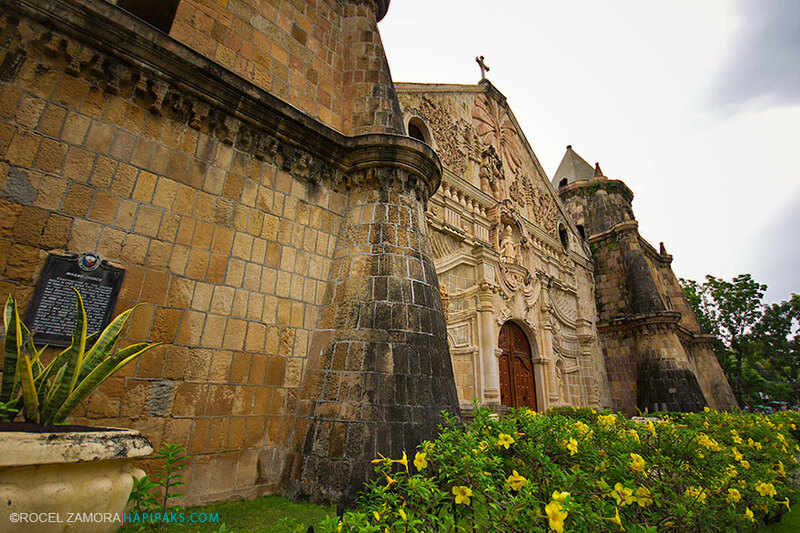 Another Baroque-style church in the Philippines, Miag-ao church is also declared as a UNESCO World Heritage Site. The facade is made of adobe, egg, coral and limestone, giving it its ochre color. This church, among other beautiful churches, should not be missed when you visit Iloilo.